Inside Todd Shelton’s Fit Kit factory. 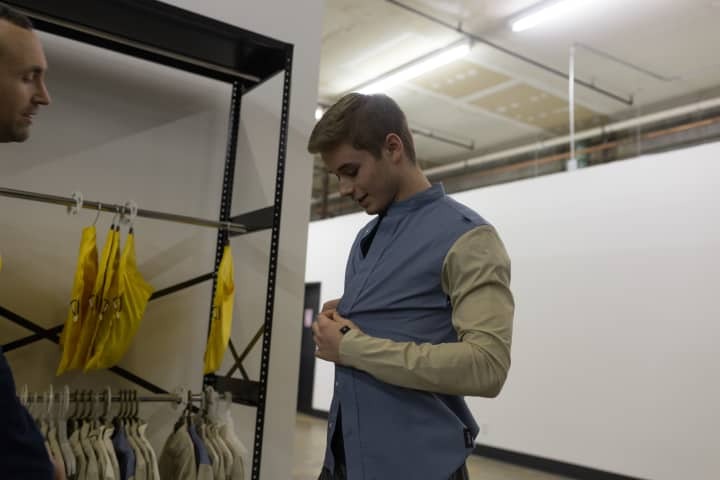 Ahead of its launch this week, we got the chance to peek inside the New Jersey factory of Todd Shelton's eponymous clothing line, and its innovative custom techniques. 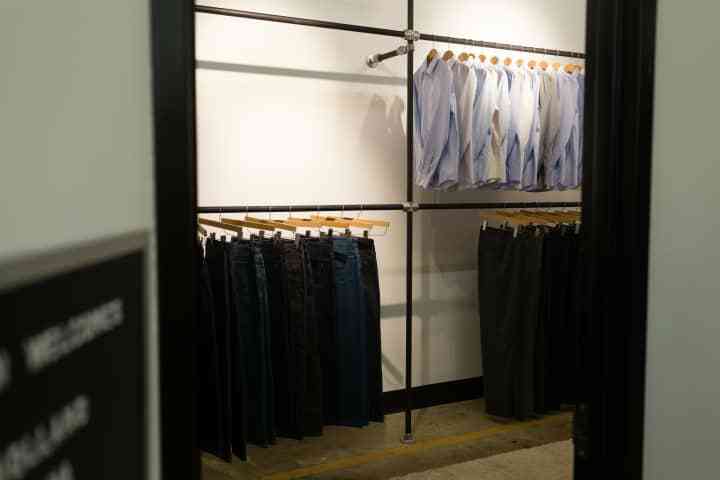 Composed (for now) of button-downs and both raw and washed denim, Shelton's manufacturing puts a twist on online shopping. 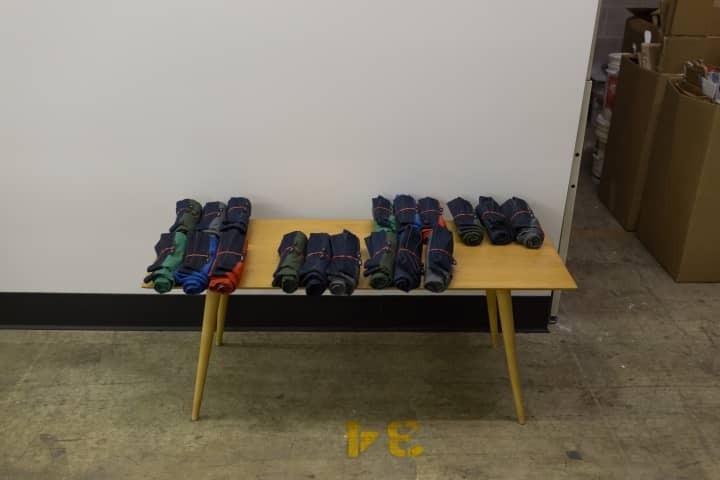 At the intersection of off-the-rack and bespoke tailoring is Todd Shelton's "fit kit," nine lightweight mock-ups in varying sizes and styles that allow customers to precisely determine their own measurements, and dictate the degree of tapering and length of the garments they order. 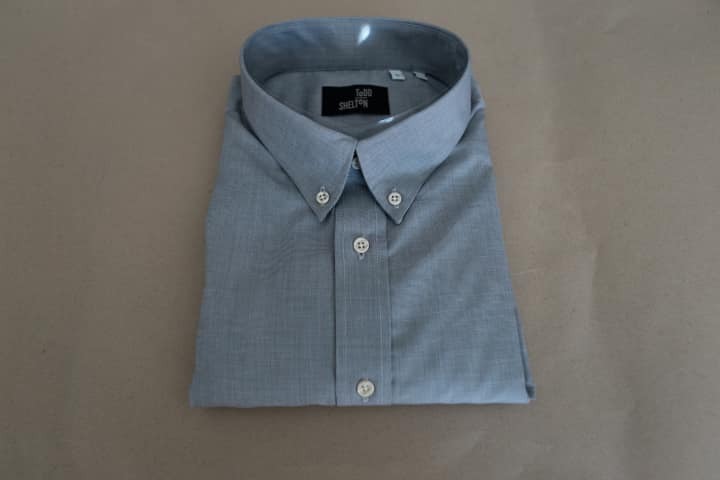 Customers (limited for the moment to those who prefer men's styles) fill out a simple form, send the kit back, and then await their customized order, fabricated just for them. We got a peek inside of Shelton's factory to see how the future of bespoke tailoring is taking shape. 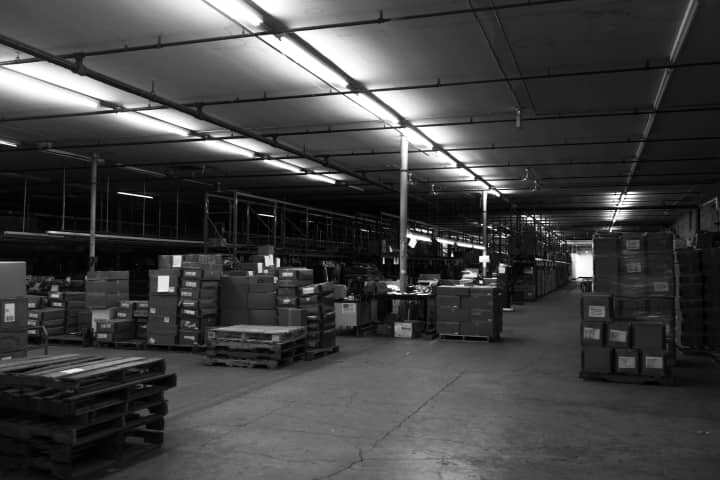 The fulfillment center, where Todd Shelton rents factory space. 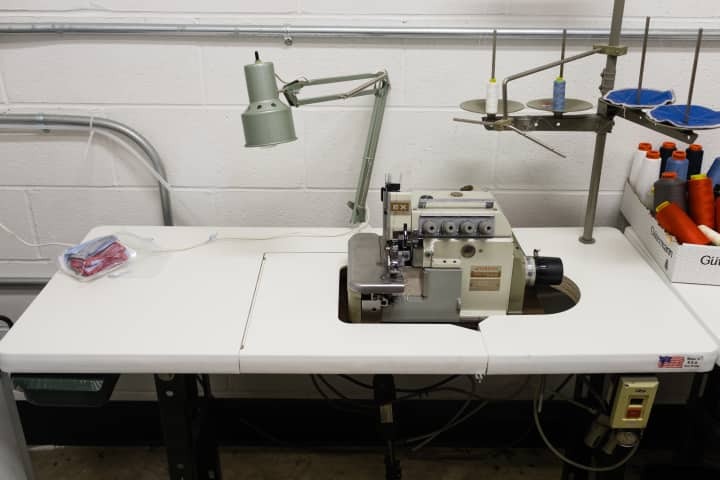 A serger, which trims and finishes the edges of clothing. 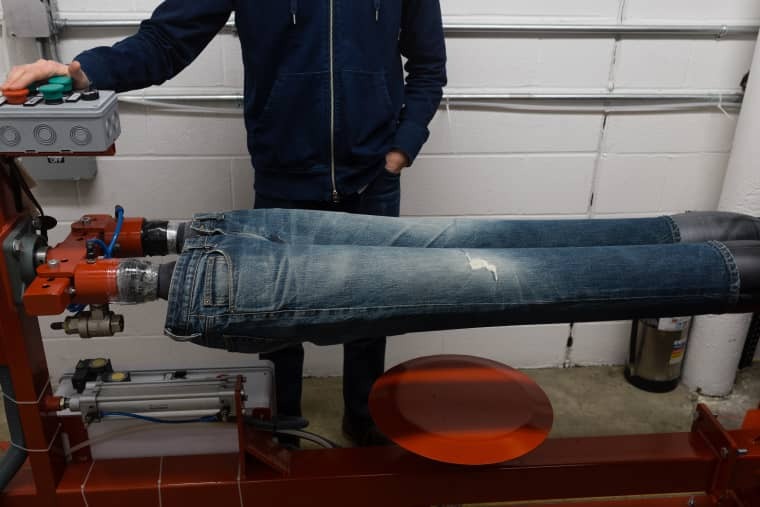 The Metod Jean Machine, which blows up two balloons, one for each pant leg, for easier distressing and sanding of denim. 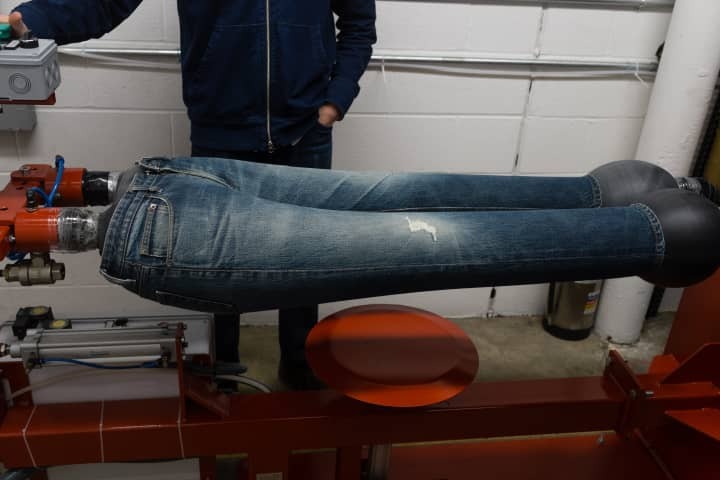 A customer trying on one of the light-weight prototypes from the Fit Kit. Todd Shelton showing off a variety of denim washes. An assortment of Fit Kits, ready to be shipped out. A finished Todd Shelton custom shirt. 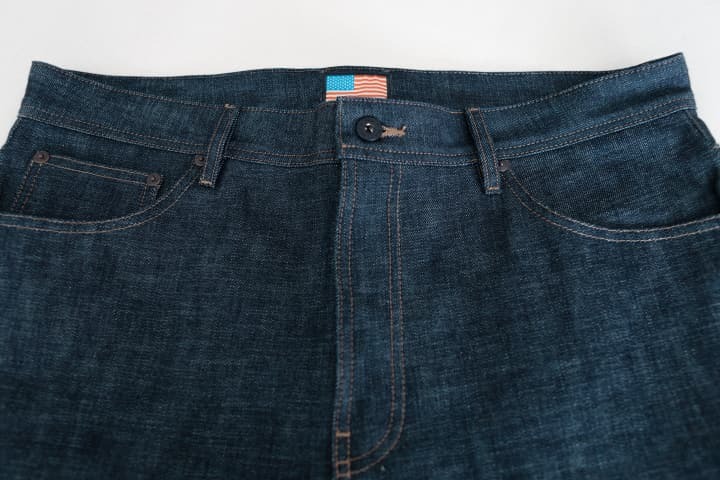 Detail on a pair of finished custom jeans. The showroom within the factory, available for anyone to tour.